These are the closing words of J. Rudyard Kipling’s famous and striking poem “If”. What perhaps Kipling had in mind when writing this was a reference to not giving up when it is so easy to do so. We all have moments of frustration, not least with deadlines and just making things happen. Health and well-being consultant Samuel Furse looked into it in more detail for us at relaxedworkplace.com. 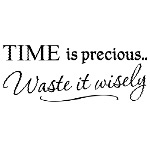 Time is a great leveller. It is something none of us can destroy or create (despite what your boss may tell you), though surely all of us can have our time wasted. Time is the same for all of us – although our perceptions of it change over time (ironically) and as a result of external stimuli, it is the first thing about our awareness of the world around us that is compromised on suffering stress or indeed any other emotional upset. Something of which we are all aware is the importance of meeting deadlines and the effect of missing these – diminished productivity, dangerous effect on morale and even cash flow as well as the reputation of your firm or department. Step 1 – Planning. Tedious though it sounds, knowing what you need to do and by when and writing all this down so you can see it all at once on a piece of paper can only help. Step 2 – Prioritisation. This is often more of a challenge – how important and/or how urgent are the things you must complete. Knowing the difference between important and urgent is crucial here. Step 3 – Know your limits. This means do not be tempted to take on too much. Stick to what is achievable, but at the same time ensure that you have enough to maintain optimum productivity and intellectual engagement – don’t get bored! 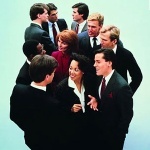 In the workplace, we all experience a vast array of different interpersonal relationships. Some of our colleagues are warm, some are cold and we have to balance our attitude and feel comfortable around everyone. We asked ourselves what are some the issues we’ve seen or discussed with people we have met. Kyoungjin Ha our main massage therapist has given us a few clues into how to make relationships work better in a work environment. We’re all too busy at work, everyone is working on their work projects and offices interactions often lack warmth. At work we are all expected to deliver our work and respect deadlines which effectively turn us into individual units of production. There is a natural pressure at work to turn us into anonymous productive units working. Becoming anonymous makes us look the same, we become indistinguishable. The only way to counter this is to realize that not everyone is alike and we are all unique. We all have qualities and faults and everyone has a particular and unique personality. At work it is important for us to communicate with all our colleagues, understand their personalities; realize what makes them special in order to cast a light on what makes them unique. If you seek what is the warmth in your colleagues (=what makes them unique, then you will discover that you can have warm relationship with anyone in your workplace. However, we all have our own hurdles to discover others. Some of us have serious emotional obstacles to warmth and intimacy. We can be afraid to come too close to our colleagues or being too open. We are afraid that if we come too close or if we are too open, we will be invaded, controlled or hurt. These are simply ancient fears coming from our own experience and we have to get rid of them completely in order to become warmer. There is no miracle cure for inbuilt fear so it’s one step at a time. Find what is good about yourself, what you like and try to match that with your collegues’s qualities. Then proceed to exchange moments around a coffee, discussions in the workplace around what you like in common. Once we become confident and have found much common ground with colleagues, we forget irrational fears. No magic formula here, it’s one step at a time. Most of us have some inner warmth and face difficult moments when work colleagues are cold or not friendly. A natural tendency would be to change oneself, try to become colder as others are, ignore them or even be as rude, however this is a waste of energy. The best way to handle work colleagues that are colder than us is to keep content with ourselves. To do this we have to accept that judging others is healthy and keeps you sane. So if someone is not positive around you, it’s just plain okay to tell yourself that you are in a better place that where they are and that you are the happier person. Simply this attitude will strengthen you and will allow carrying on your own attitudes without having to adapt to negative energy around you.